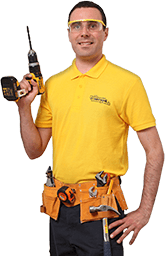 Get 15% OFF 25+ services*For instance, book a Handyman for 3 hours for $162 (save $28) or Garden maintenance for 3 hours for $156 (save $28). 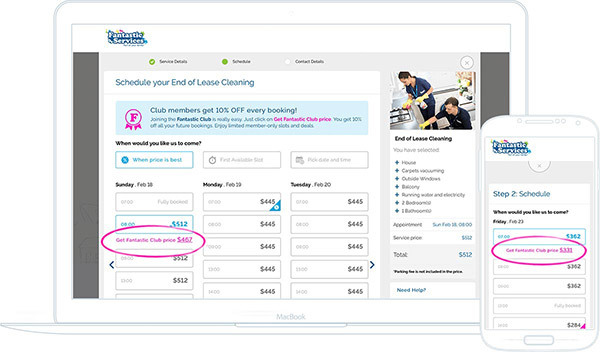 Savings from Domestic cleaningHave your home cleaned regularly at $32/h (save $4/h) to get your membership fee back within the first 7 visits. Amazing deals and perksAccess member-only booking slots and exclusive deals with up to 40% discount. 4 simple steps to join the 3 0 4 2 2 clients who already save from every service! 1. Choose the service and time slot you want to book. 2. Choose the discounted 'Get Fantastic Club price' link. 3. Add the annual membership fee of $89 to your booking. 4. Finish your discounted booking and membership purchase. Q: Can I use my membership perks for another property? A: Yes, you can book a service for any address you wish. Q: Can somebody else use the benefits of my membership? A: Well, you can book a service for another member of your household. However, the membership itself cannot be transferred to another person. Q: Can I cancel my membership and have it refunded? A: In case you cancel it within 14 days of purchase, you may be partially or fully refunded based on the discounts you have used for the period. Q: Are there other membership options? A: As of right now, no, there is only the annual membership. It's a single payment of $89. 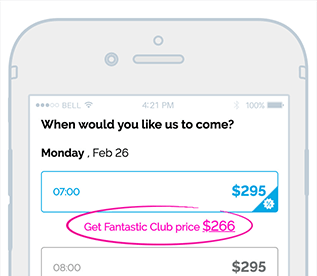 Enjoy your Fantastic Club benefits - anytime, anywhere! Download the free GoFantastic app and book at preferential member rates whenever you want, wherever you are. GoFantastic is the first Australian app to instantly book any service for your home, garden and office from just one company.